You have to be living under a rock to have missed the #metoo movement and the aftermath. Whether you have personally been a victim of sexual assault or harassment, have been witness to or know someone that has, the #MeToo campaign finally gave people a voice to be listened to. It’s something that has been going on all around us for years. I’ve personally witnessed these behaviours in the workplace and also the conditioning that women around me have endured to make them question if what has happened to them is serious enough to report for fear of retaliation. Thankfully, strength comes in numbers and as so many people took to social media to protest, others who had remained quiet for so long finally gained the courage to speak out. As early as 2006 American civil rights activist Tarana Burke began using the phrase “Me Too” in her campaign against sexual harassment. 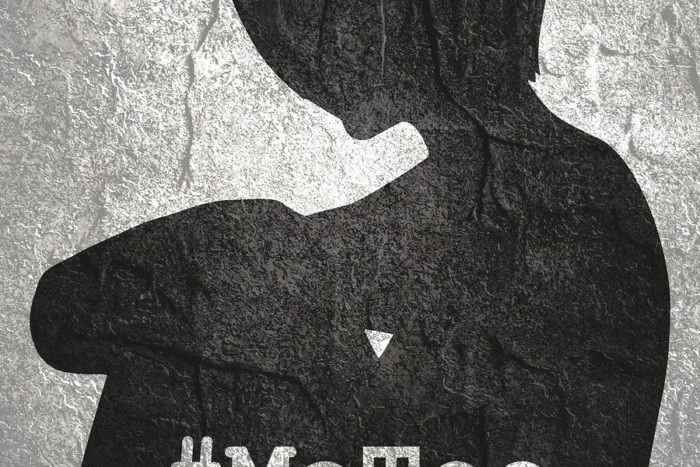 In October 2017, the #MeToo hashtag went viral on Twitter after a simple conversation, and quickly took on a life of its own which highlighted the prevalence of sexual assault and harassment towards women, minorities and the LGBT community, especially in the workplace. And then there was #Timesup, which further highlighted sexual assault, harassment and inequality in the workplace. Both campaigns made a stand against these serious issues and both campaigns are perfect examples of why HR now needs to step up, as they play a crucial role in helping to address the problem in the workplace going forward. Employees look towards HR for guidance and support, and many HR departments have created successful interventions against acts of sexual harassment at work prior to this. However, in light of the #MeToo movement, a finger was pointed firmly at human resources for failing to do more in some of the more publicly highlighted cases, which then cast doubt on the minds of employees about whether their own HR department could be trusted with these types of issues. HR should be actively monitoring behaviours, ensuring there is relevant training from recruitment stage throughout the whole employee life cycle and making sure to take appropriate and timely action when grievances are reported. Human resources can help to totally transform your organisation and foster a culture that holds every employee accountable, to understand positive values and behaviours which will give your business a competitive advantage. Employees need to feel supported and able to speak out, so the company culture needs to promote values that create that comfortable atmosphere and HR are the ones who can help drive this into action. After the large scale publicity of #MeToo, HR departments and leaders everywhere faced the need to reestablish trust with workers as well as address how to handle the complaints that, for some companies, became a flood. Following the fallout, many cases highlighted just how badly HR dealt with, (or failed to deal with), reported incidents – some even stating that HR helped to cover up or protect the perpetrators of sexual assault. I’ve even read articles since, talking about how HR is not a friend of employees and so on. It’s concerning and just adds fuel to the fire. Previously being in an HR advisory position myself, I would sincerely hope employees felt they could contact me for the correct support and timely action these types of situations require. So if your people have no trust in HR, therein lies a huge issue that needs to be rectified as soon as possible. The MeToo and TimesUp campaigns made it clear that there have been a lot of unreported or unacknowledged sexual harassment cases in the workplace – a shocking amount. And regardless of who is involved, HR should be the first line of defence against this within the organisation. Build the trust back up with people by being transparent with reporting procedures and clear with what actions will be taken and the potential serious consequences. Detail, in full, the investigation process and look into every case. Promote an open door type policy and create a safe and comfortable environment for employees to work in and don’t let employees fear any type of retaliation for speaking out. Ideas such as direct hotlines, anonymity, and online chat could be new ways to report these issues. A 2016 EEOC study showed that 75% of workplace sexual harassment victims experienced retaliation after speaking up. Therefore it’s not surprising that the trust disappeared and people felt that there was no other option but to keep their mouths shut. With new focus and worldwide support for victims of sexual harassment in the workplace, workers are feeling empowered to come forward and speak out. The EEOC reported at the end of 2018 that complaints had increased by 12% over the previous year and that it filed 50% more lawsuits. What can HR do? Have a proactive approach to preventative methods such as, delivering sexual harassment and procedural training from the very start of employment and have it engrained into the company culture of what behaviour is acceptable and what behaviour is not. Diversity and inclusion initiatives have also been proven to decrease acts of sexual harassment, sexism and discrimination. Offer a voice to not just the victims of these types of abuses, but to the witnesses, sometimes referred to as “Bystander Empowerment” as this has been proven to be a successful deterrent. And finally, develop a policy and procedure which sets out the formal lines of communication and best ways to report sexual harassment claims, as this will help manage potentially large numbers of harassment claims that often go unreported and make the whole process more manageable for the department. Although there are many benefits to having HR software in these types of situations, there also are some challenges. With real time communication and instant messaging options used within organisations, grievances could come in through a variety of channels making it difficult for HR to keep track of what stage a grievance or disciplinary is at. This could also be a problem if reports are made to the wrong people and get lost in the system, meaning the organisation has been notified of a grievance but may not have necessarily seen it to deal with it promptly, leaving the employee and company at risk. Ensure there are enough expert HR resources to cover all bases so no claims go unacknowledged. It’s also important to have a clear internal procedure that is rolled out to every employee which plainly sets out all of the accepted methods of reporting and a list of the correct people to initiate contact with in the company. Prevention is also better than the cure. Preventing cases of sexual harassment requires far more than a well worded policy. It needs to be backed up by an effective procedure, positive culture and on-going training. People now, more than ever, are going to be looking closely at how your organisation handles allegations of sexual harassment, discrimination, sexism and what measures are in place to create a working environment that is respectful, safe and inclusive. An article by theBoardlist, detailing statistics from a survey it conducted, suggests that 88% of boards have failed to create an action plan in the wake of #MeToo. And Katie Burke is right. If organisations want to make a real difference, they need to work together to tackle the problem, not just continue like it’s an issue that will blow over because it won’t – not this time. Start-ups have also gained some negative attention in light of all of this. Start-ups need to make diversity, inclusion and even HR part of their business plan rather than an afterthought, and not solely focus all efforts on product development, operating costs, revenue and margin. There are many start-ups and SMEs that still don’t even have a HR representative managing the risks or developing training and procedures. And in those instances, who do management and employees turn to with issues? Or go to for impartial advice? Even though the problem of sexual harassment in the workplace arises from human behaviour, it looks like technology such as automation, analytics and data will also play a part in managing some of these issues in the future. We can already see in some of the software available on the market, features such as anonymity tests, analysis of performance, success rates, tenure, and diversity of applicant pools. It would be great to know how your organisation has dealt with the consequences of #MeToo and what strategies your organisation operates to protect all employees from these types of cases, so please get in touch! Robyn South is a HR professional with over 7 years experience in generalist and complex employee relations matters. She is a Business Owner/Executive VA at covirtual.co.uk, alongside writing content covering business and HR related matters for numerous online publications. She loves to travel and is part of the content team at HR software company CakeHR.